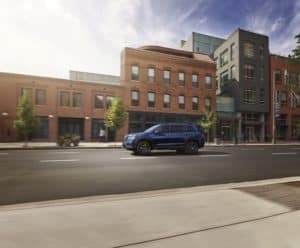 If you’re looking to find the right vehicle to navigate the streets of Cerritos, Buena Park, and LB and maybe explore some rugged off-road areas, you may want to check out the 2019 Honda Passport. Drivers in the area have been anticipating the re-release of the Honda Passport! This rugged SUV made its debut in 1993, but its production ceased in 2002. However, since drivers have been seeking out a stylish SUV with commanding capabilities, the Passport has been revived! At Norm Reeves Honda Superstore Cerritos, we’re here to inform drivers and adventurers of the new 2019 Passport. This Honda Passport review will help you learn what this rugged and stylish SUV offers, so you can prepare to get behind the wheel and see for yourself what it adds to your trips. The Honda Passport offers some remarkable abilities with its 3.5L V6 engine. The engine itself is capable of producing 280 horsepower, giving the vehicle the necessary output to accomplish its amazing feats. The engine comes mated to a 9-speed automatic transmission to deliver smooth and swift accelerations. One factor that really adds to the vehicle’s abilities is Intelligent Variable Torque Management. This system works with all-wheel drive to provide torque vectoring to handle the rugged terrain on and off the roads, giving drivers a more enhanced experience behind the wheel. The Passport has a more modernized look than the last iteration released in 2002. This re-release adds a few notable stylish components, such as the matte-black grille and the sporty and commanding wheel arches. The vehicle is higher off of the ground than it was when it was first released and even includes a floating roof to add to its outdoorsy appearance. Drivers can even rely on the LED and fog lights to pave the way for the road ahead when they’re traversing through some rugged terrain. Drivers and passengers can take comfort in the ample 115.9 cubic feet of space in the cabin. The interior includes two rows for five passengers to ride comfortably. While the Passport includes 41.2 cubic feet of cargo space behind the second row, it can easily be folded down to generate 77.9 cubic feet of expanded cargo room, allowing you to bring more to your adventures on the road. The cabin of the Honda Passport offers a handful of helpful and entertaining features and technology that drivers can rely on for their journey. Drivers can use the 5-inch display to access their media options. However, the 8-inch touchscreen is available to provide high-resolution graphics and customizable settings. The vehicle comes standard with a radio, USB and auxiliary connections for portable media players, and of course Bluetooth® connectivity for both audio streaming and hands-free calling. The vehicle even includes compatibility with Pandora®, which gives drivers access to thousands of internet radio stations that can be customized. Upgrading the Honda Passport will include some sophisticated features. These features include the wireless phone charger, which allows you to rest your phone on a tray at the base of the console which will help keep it charged without the hassle of wires or cables. The higher trims also include the Wi-Fi mobile hotspot which will keep you and your car connected from the road. Lastly, the more adventurous and thrill-seeking explorer may want to include the Honda Satellite-Linked Navigation System™ with their 2019 Passport. This system uses 3D graphics of buildings, terrain, and road signs to give drivers a better perspective. On top of displaying these high-resolution graphics that showcase the way on the off-beaten path, the system provides turn-by-turn directions to your destination. Forward Collision Warning: This system can detect a possible collision based on your rate of approach and the proximity of the object ahead and will send an audible and visual warning. Collision Mitigation Braking System™: Working with the Forward Collision Warning, this system will actively provide enough brake pressure to slow the vehicle down to reduce the severity of impact and to give the driver a window to stop the vehicle completely. Road Departure Mitigation System: This system recognizes when your vehicle is about to leave the road, so it applies selective braking to ensure that your vehicle remains on the road. Lane Departure Warning: If your vehicle begins to stray from its lane, this system will activate selective braking to make sure your vehicle remains in its intended lane. Adaptive Cruise Control: This system lets you set a preferred distance from the vehicle ahead, along with your desired cruising speed. The system will then keep that set distance while adapting to the flow of traffic without needing driver intervention to slow down. Contact Us to Learn More or to Get Behind the Wheel of the 2019 Honda Passport! Did this 2019 Honda Passport review help you learn all about what you can expect with the re-release of this iconic SUV? 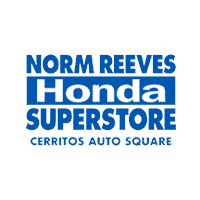 At Norm Reeves Honda Superstore Cerritos, we’re happy to help drivers even further by giving them a closer look at the Passport, their many options, exterior colors and styles, and more. When you’re ready, you can drop by and see us for a closer look, or you can simply see what the Passport has to offer by taking it out for a spin on the open road! 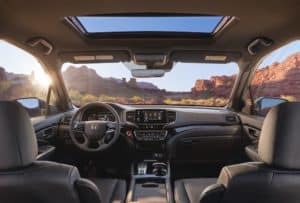 Schedule your test drive with us at Norm Reeves Honda Superstore Cerritos to learn all about the 2019 Honda Passport and what it adds to your journey! We’re here to help drivers in Cerritos, Buena Park, and LB get the most out of their experience of finding their next car.